Treat yourself to our exclusive decaffeinated tea, only available online. 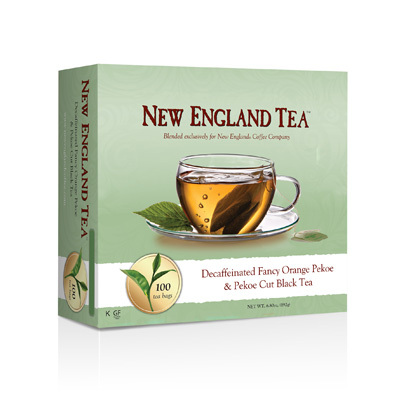 Each box of Decaf Fancy Orange Pekoe & Pekoe Cut Black Tea contains 100 individually wrapped tea bags. This is the best tasting decaf tea I have tried. I won’t buy any other brand.